Hello everyone! 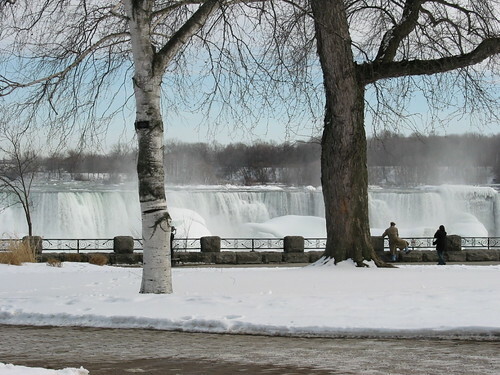 The beauty of Niagara falls during winter time, lots lots of snow. During summer lots of people from all over the world love to view the breathtaking views of the horseshoe and American falls, as well as Niagara's beautiful landscape. To view more photos, check out our main website Watery Wednesday manage and hosted by 2sweetandsexy. If you love to participate just feel free to post and put your url in Mr. Linky. See ya and Merry Christmas..
Oh, wow! That's beautiful. Sorry if you didn't see Mr. Linky but it is working. I'll add you. Beautiful pictures. We've never seen Niagara in the winter, but I sure would like to. 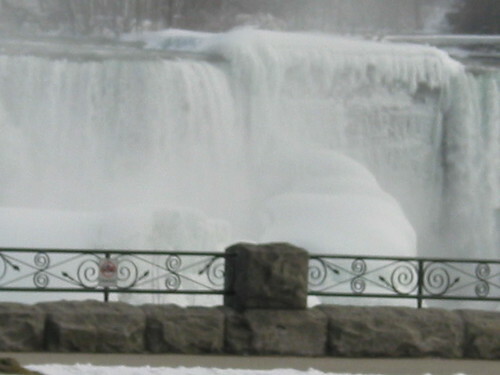 We only live an hour or so from Niagara Falls, and have never seen it in Winter, will have to suggest to dh that we go. Wow! I've always wanted to go to Niagara Falls. Oh my gosh.. this is the first time I've seen Niagara in snow! My post for Watery Wednesday is here. Happy holidays! lovey shots. 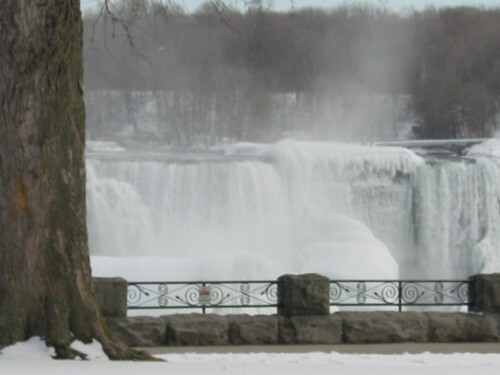 don't very often seen photos of niagra in the winter. happy holidays! Never seen it in winter. A powerful fall, the biggest of all bridal veils. I think that's why so many people honey moon there. Great shots, especially the first one. Niagara is one of my favorite places to visit. Thank you for sharing your beautiful photographs and Happy Holidays! Your watery pictures makes me want to see that in person. Beautiful falls. Impressive! Especially the first shot. It is stunning. The snow makes it all looks wonderful.